In vehicular ad hoc networks, road traffic information can be used to support efficient routing. However, dissemination of up-to-date global road traffic information usually consumes considerable network resources and may also lead to the scalability issue. On the other hand, the highly dynamic nature of road traffic information makes it difficult to collect and disseminate such information in a timely fashion. Outdated information can lead to inefficient routing decisions and thus degraded routing performance. 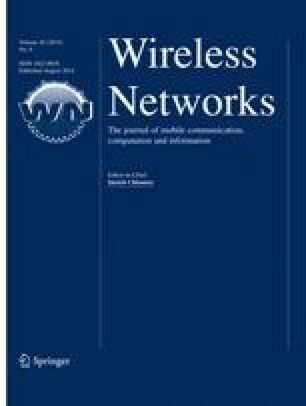 This paper proposes a distributed routing protocol using partial accurate routing information (RPPI). In RPPI, each node uses accurate local traffic information in its local zone and statistical traffic information in remote areas for route selection, which can significantly reduce the communication overhead. Simulation results show that RPPI can achieve better routing performance in terms of end-to-end packet delivery ratio and end-to-end packet delivery delay as compared with existing work. This work was supported by the NSF of China (NSFC) under Grant Nos. 61101133, 61173158, 61372105, and 61271041, the Natural Science Foundation of Jiangsu Province of China under Grant No. BK2012125, the Research Fund for the Doctoral Program of Higher Education of China under Grant No. 20110092110007, and the Research Fund of National Mobile Communications Research Laboratory, Southeast University, China, under Grant No. 2014A02. ETH Zurich Vehicular Network Traces. http://lst.inf.ethz.ch/ad-hoc/car-traces/.